Sudan People’s Liberation Movement, Youth League (SPLM-YL) executive members have refuted claims by some individuals that SPLM-YL is supporting National Youth Union saga under the leadership of Dr. Albino Bol. Speaking to Juba Monitor yesterday, the Spokesperson of SPLM-YL, Paul Chabiet Ayang denied their involvement in the National Youth Union’s Affairs. He described claims as “wild rumours” that was meant to tarnish the image of his institution. “It has come to the attention of the SPLM Youth League leadership that some individuals falsely traded accusation against the independent institution of taking side in the National Youth Union”, he said. Chabiet emphasized that the accusations labelled against the SPLM Youth League are baseless and unfounded truth. “The SPLM Youth League is purely a political organization and has nothing to support neither any individual nor involving in social issues of youth”, Chabiet said. Chabiet explained that any matter that needs to be resolve is the responsibility of the Ministry of Culture, Youth and Sports whose role is to direct or give guidance on correct, peaceful and democratic procedures of transfer of the office. 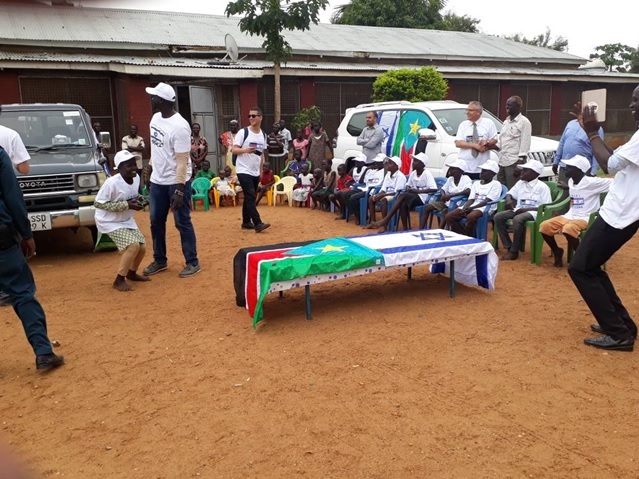 “Many people came and asked the SPLM Youth League leadership of involvement. We were surprised about these wild claims. We had no knowledge on what is taking place in the national Youth Union”, Chabiet said. Chabiet said his institution has no right to keep someone in power after the period elapsed while urging the youth to unite and observe the critical period of peace implementation in the country. He called on the youth to desist from public misinformation. In mid last month youth raised serious concerns to the Ministry of Culture, Youth and Sports that the tenure of the National Union expired as 15th March 2019. The youth petitioned the Ministry over the elapsing of the term of Dr Albino Bol Dhieu regime. The assembly of youth demanded for dissolution of office and called for fresh elections that will bring in, a new leadership. South Sudan National Youth Union is a youth wing established under the Ministry of Culture, Youth and Sports to oversee youth affairs in the country. Dr.Albino Bol Dhieu was elected in 2015 by the youth delegates who were drawn from the former ten States.